The state of Hawaii consists of 137 drop-dead gorgeous islands, and is still growing! It’s no surprise that there is quite a bit to do and see, which can make trip planning pretty tough. You could spend ages exploring just the 7 inhabited islands and barely scratch the surface. So how do you get the most out of 7 days in Hawaii? Check out this one week Hawaii itinerary! There is no better way to spend your first time in Hawaii than by jumping right into the culture on your first day. Guests of the Outrigger Reef Waikiki Beach Resort can learn lei making from some of the staff. All the supplies are provided, so you can make your own lei while learning about its cultural significance to the people of Hawaii. After that, make your way to the Polynesian Cultural Center. It’s a bit expensive, but I highly recommend the tour that includes the luau and night show. The Polynesia Culture Center is a place dedicated entirely to preserving the various traditions and cultures of the Polynesian countries. The Center consists of six different “villages,” each having various shows and activities to help visitors learn about their respective cultures. At the luau, you get to eat some scrumptious, traditional Hawaiian food, and at the evening show, you get to see all of the villages come together to showcase their talents and traditions. Despite being a large tourist attraction, Diamond Head is still a must for any Hawaii itinerary. 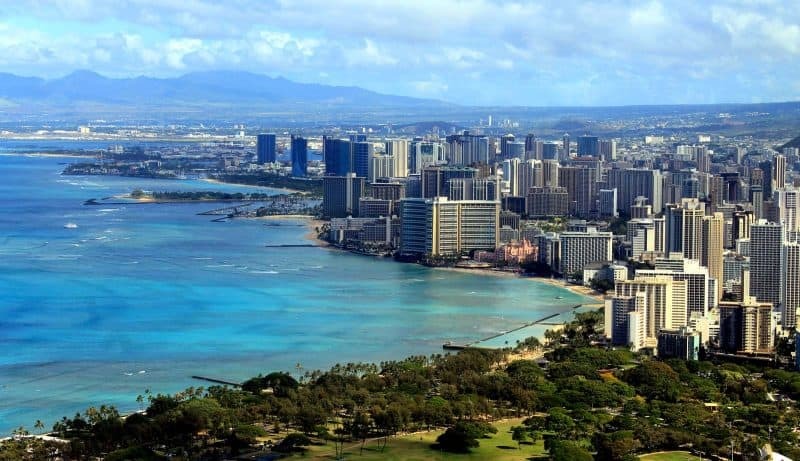 Despite the history that surrounds it, it offers breathtaking views of the bright blue ocean and the bustling city of Honolulu. The hike to the top of Diamond Head is only 0.8 miles, but is quite steep and involves many steps. Make sure to get there early in the morning, as the parking lot will most likely fill up after 8 AM. If the parking lot is full, you have to park down further and then hike up to the park entrance, which adds to your already strenuous hike. If you’re a history buff or just a fan of the TV show Hawaii Five-O, swing by the famous statue of King Kamehameha (frequently shown in various scenes of Hawaii Five-O). 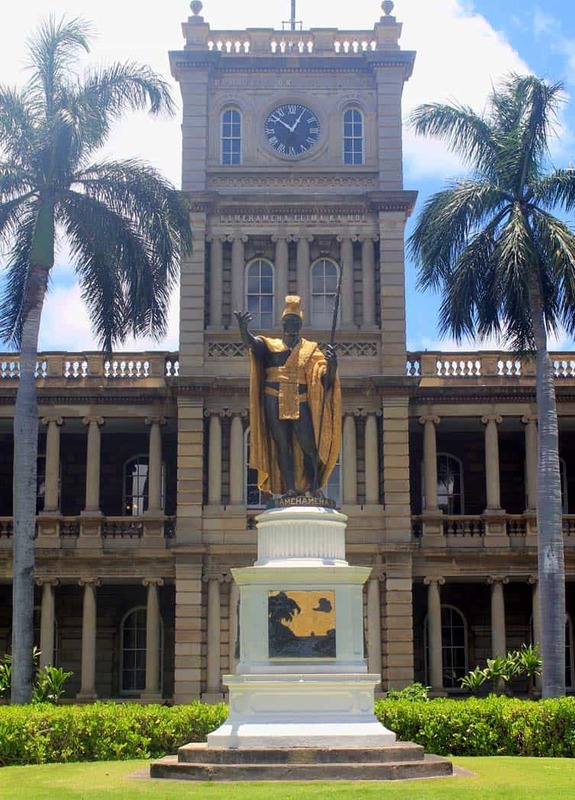 Hawaii was originally a monarchy under King Kamehameha, who was known for uniting all the Hawaiian islands into one nation and ending the conflict that had existed among them. Across the street from the statue is Iolani Palace, the royal residence of the monarch family. End the day with a relaxing afternoon on the popular Waikiki beach. It will likely be crowded, but it should still be possible to find your own little spot on the sand to sit back and relax. It’s a must-visit beach for your first trip to Hawaii. If you’re feeling cliché, you can try and write something memorable in the sand before the water comes up and washes it away! On Friday nights, you can even see fantastic firework shows held out over the water. At first glance, day 3 of this Hawaii itinerary seems a little jam-packed with activities, but it is easily do-able even at a slow pace. However, it’s another early morning so make sure you get to bed at a decent time! Pearl Harbor is another one of those must visit places for a Hawaii itinerary, if only for the historical significance. The bombing of Pearl Harbor is what ultimately brought the United States into World War II, and its importance in US history makes it quite interesting, even for those who aren’t overly excited about history. The main attraction at Pearl Harbor, a tour of the USS Arizona, is free, but still requires a ticket (as they limit the number of entries per day). Tickets are available for reservation in advance but are quickly snatched up. If you don’t manage to reserve a ticket, don’t fret. 1,300 walk-up tickets are available daily. However, the tickets are first-come-first-serve, so make sure to get there early to ensure that you get a ticket. 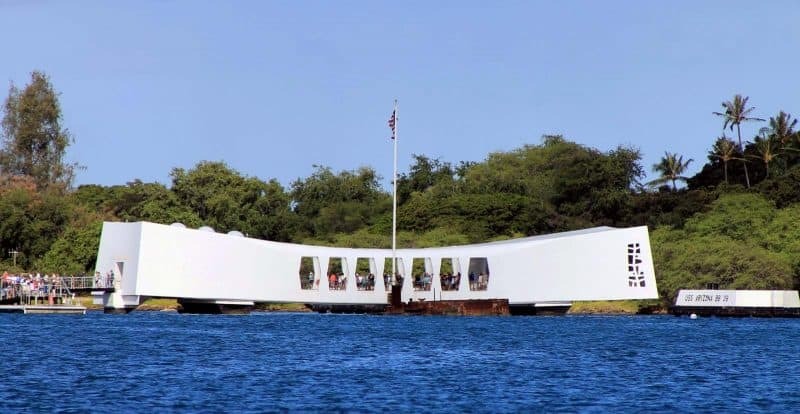 If you are particularly interested in history, you can check out some of the other attractions at Pearl Harbor, such as the USS Bowfin Submarine Museum & Park, the Battleship Missouri Memorial and Pacific Aviation Museum, and guided tours of the USS Missouri. If not, head on over to the Dole Plantation. It may not sound really exciting at first, but Dole Plantation is a great place for people of all ages. The plantation’s garden is home to several unique tropical plants and offers several informational posts along the way to help you learn more about the plantation and its history. If you feel like you have strong directional skills/enjoy getting lost, you can attempt to make your way through the pineapple, one of the world’s largest, permanent mazes. After you’ve tired of wandering around the maze, you can catch a ride on the pineapple express train tour. If you’ve never been to Japan, I recommend fitting a stop at Byodoin Temple into your Hawaii itinerary. 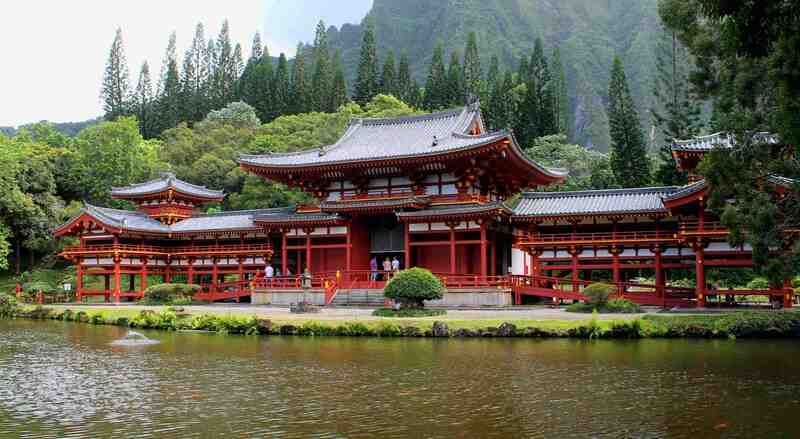 It’s a replica of the original Byodo-in Temple in Japan and commemorates the first Japanese immigrants to Hawaii. It’s a great introduction to Japanese culture. Plus, it’s a filming location of Hawaii Five-O, Lost, and Magnum, P.I. There’s no better way to end a busy day than relaxing on a beach. 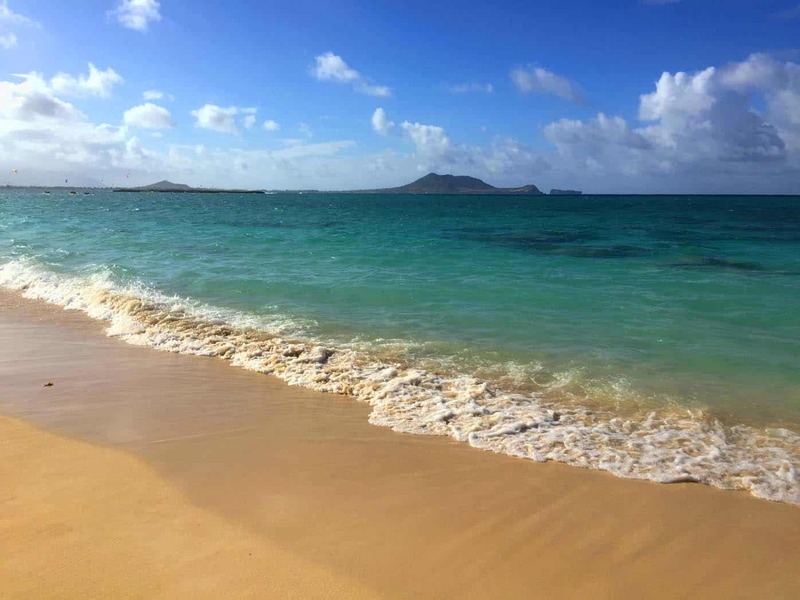 Instead of Waikiki, head over to the less-crowded Lanikai Beach, which is often ranked one the best beaches in Oahu. If you love to just relax by a beach that is crowded by tourists or go on adventurous hikes, you could easily spend a week in Kauai. However, when trying to see the best of Hawaii in one week, Kauai can be done in a day. Make sure to catch an early flight on Hawaiian airlines to Kauai, and have a rental car reserved and ready for you so you can hit the ground running. Kauai is known for their famous Na Pali coast, some of the tallest sea cliffs in the world. 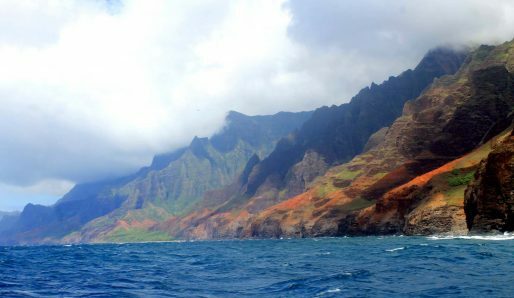 If nothing else, I recommend doing a tour with the Na Pali Experience to get breathtaking views of the towering cliffs. Most of the tour groups will even take you inside many of the sea caves if the water isn’t too rough. At the end of the tour, you can go snorkeling by some of the large reefs, and if you’re lucky you can even see some dolphins or sea turtles. Personally, this was my favorite stop along my Hawaii itinerary. 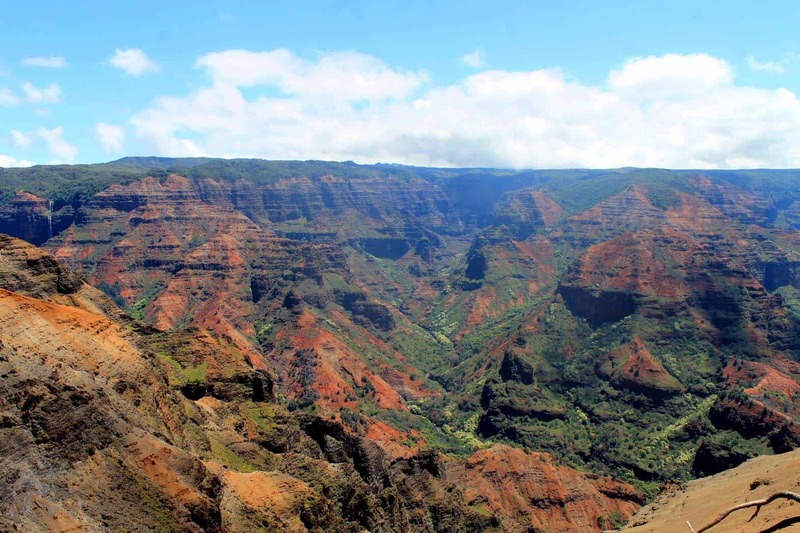 If you have some time before or after the tour, I highly recommend checking out Waimea Canyon. Unlike some canyons that have more of a dessert feel, this canyon is quite colorful with its shades of red, brown, and green. Head to one of the lookout points to get a good view from the top of 3,600 feet deep canyon and maybe even catch a rainbow across one of the many waterfalls found within. If you have more time, it would be worth hanging out and learning more about the culture and legends of Kauai. 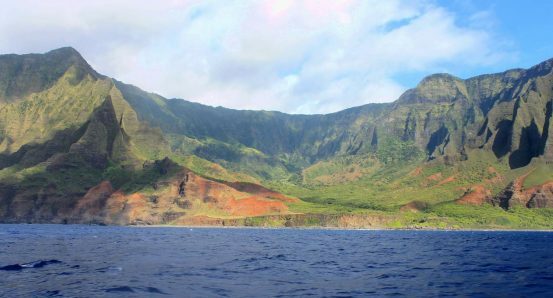 Depending on how rough the waters were during your Na Pali tour, you’ll want a day to just relax and recover. Even those who don’t normally have problems with motion sickness were feeling a little sea sick the day after. 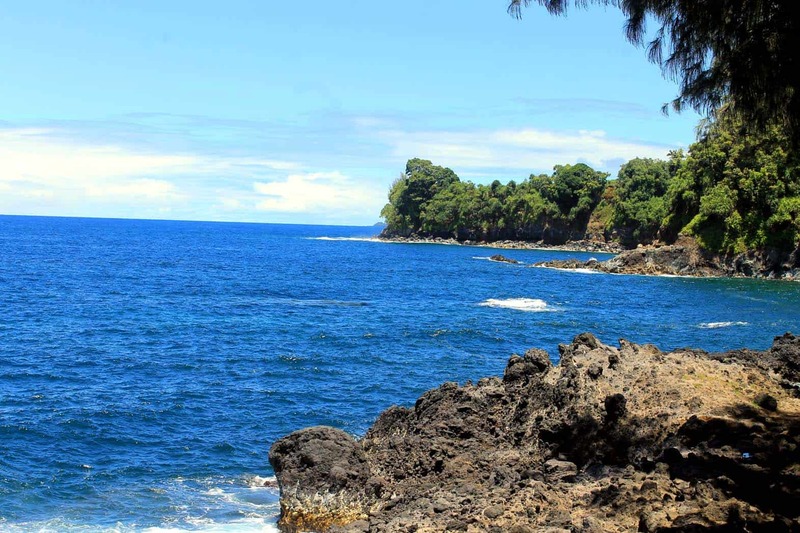 In the morning, catch a flight to the island of Hawaii (often referred to as “The Big Island” so as not to confuse it with the state of Hawaii) and pick up another rental car near Kona airport. The Big Island is the largest of islands (surprise! ), so you’ll definitely want a car to get around. If you don’t get claustrophobic, consider reserving a spot with Atlantis Adventures for a submarine tour. Once you board the submarine, take a seat in front of one of the many porthole windows, then sit back and relax as the submarine cruises along the bottom of the ocean. 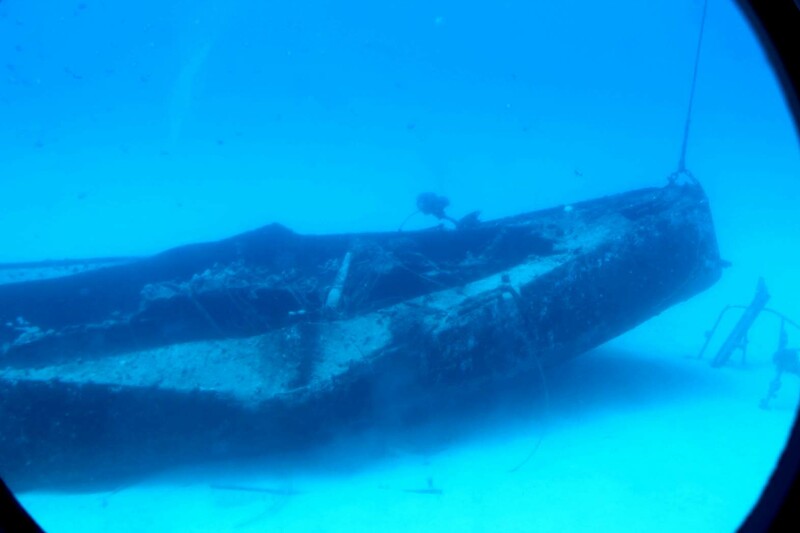 It reaches depths of about 110 feet and gives views of the various sea life that call Hawaii their home and you can even see some of the shipwrecks found in the area. After the tour, head over to Punalu’u Beach, also known as Black Sand Beach. 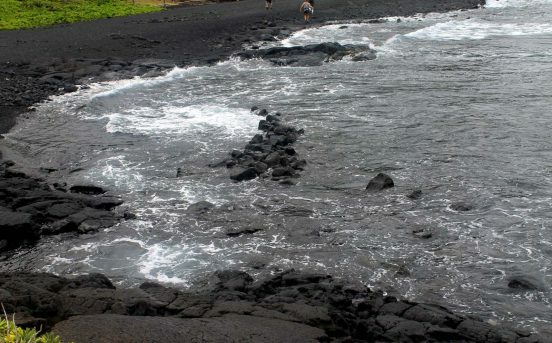 The black color comes from lava fragments of the nearby volcano and really stands out next to the beautiful blue of the ocean. Check ahead of time to see whether or not swimming is permitted, as the currents can sometimes be quite strong. Hawaii Volcanoes National Park is a must if you’ve never gotten to see a volcano up close and personal. I was only at the park for an afternoon, but I very much regret not setting aside an entire day to check out this wonderful place. The park is quite large and has two main self-guided driving tours: The Crater Rim Drive Tour and Chain of Craters Road. If you have the time, I recommend doing both, as each has unique sights to see. Attractions along the driving tours include Jagger Museum (which overlooks the ongoing eruption within Halema’uma’u crater), walking through lava tubes (a cave formed from rushing lava), and more. If you’re feeling adventurous, you can make the long trek to see surface lava. It’s about a 10-mile hike round trip, and half of it is over boulder-sized lava rock, so it’s definitely not for the faint of heart. However, how many people can say that they saw lava up close and personal? If you decide to take on the challenge, make sure to be prepared. Wear good shoes and bring a large bottle of water. If you intend to go at night (because its really cool to see the lava lit up on the mountainside at night), bring a heavy duty flashlight. Your cell phone flashlight will not be enough. Also, be aware that you will likely loose cell phone service. 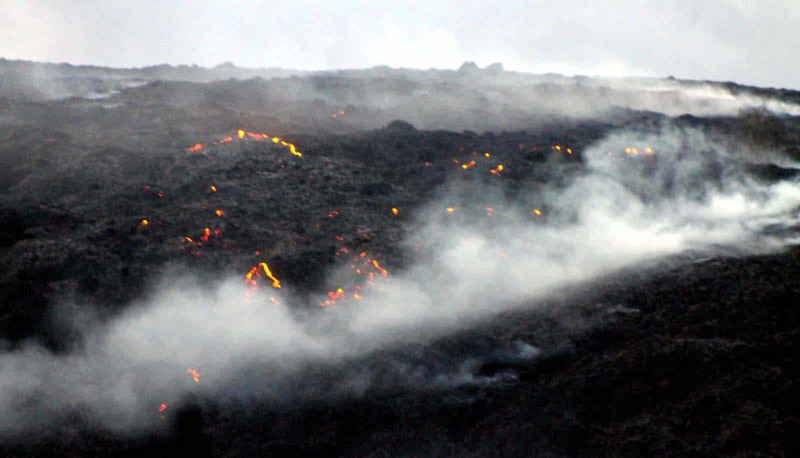 Seeing lava is one of the best things to do during your one week in Hawaii – How could you not? 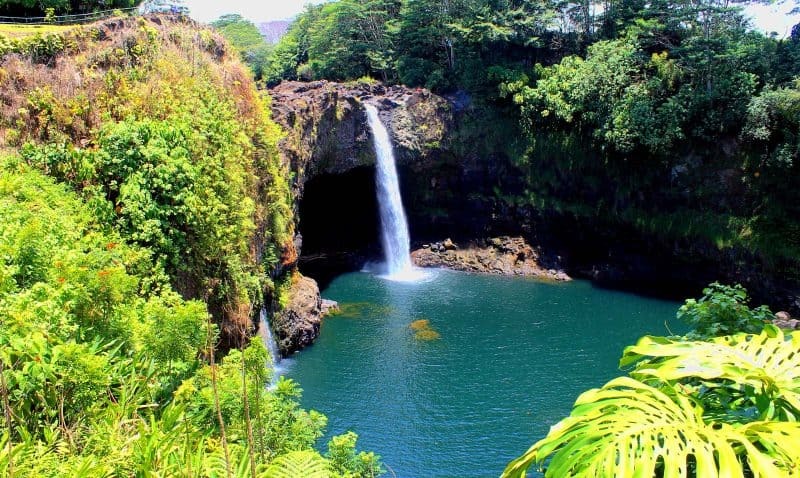 Rainbow Falls is definitely worth a stop, and it’s so close to Hilo that it’s not out of the way no matter what your plans are for the day. The majestic waterfall runs over a cliff side and crashes down into a large crater. From the parking lot, you can stand at the railing and look out at the waterfall. Then take the short pathway and get a view from the top of the waterfall. 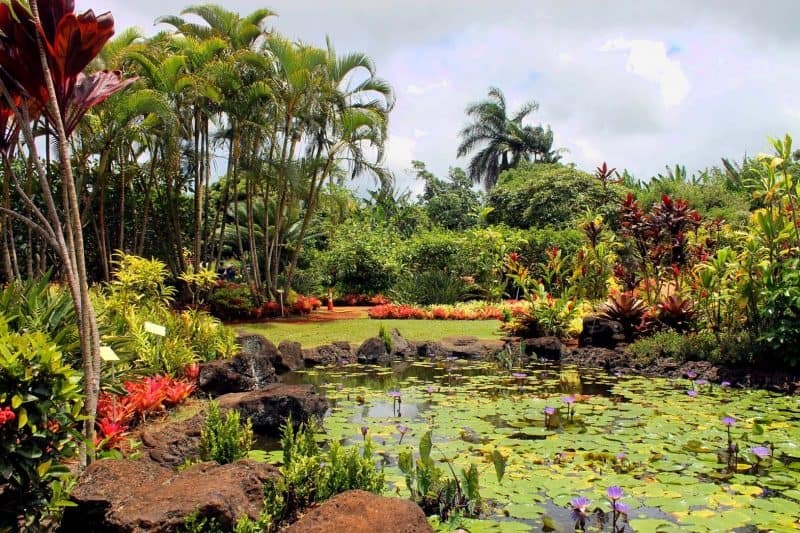 Before catching your flight home, make one last stop at the Hawaii Tropical Botanical Gardens. 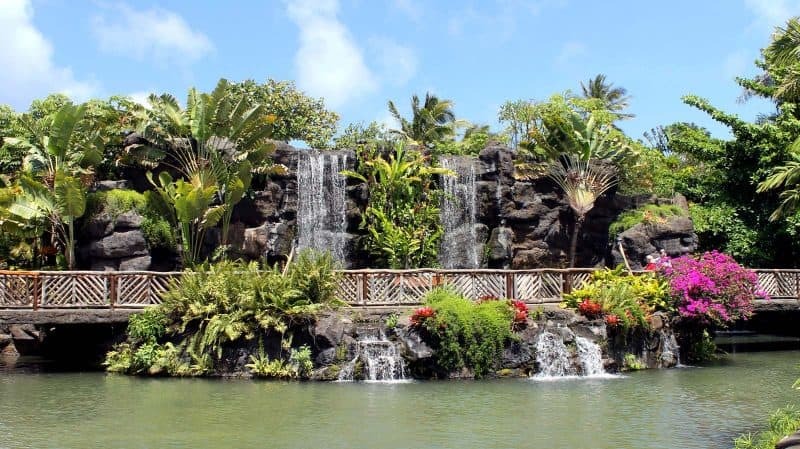 The garden has beautiful views of the ocean, an impressive waterfall, and over 2,000 species of plants. If you’re not from a tropical area or don’t visit often, it can definitely be interesting to see the unique plant life not found in other parts of the world. What an incredible place! I hope your first time in Hawaii was magical, I’m sure it won’t be your last. Next time, Maui, Niihau and the rest will have to be on your list. There are still plenty of under the radar areas, like Kihei, waiting to be discovered too. What are your thoughts on this one week Hawaii itinerary? Are you excited about your first time in Hawaii? Let me know in the comments below! Kiyoko Hall, a blogger, and dreamer, helps travelers streamline their travel planning process and inspires them to visit new places. Sign up for the Footsteps of a Dreamer newsletter and get her free guide “A Dreamer’s Guide to Trip Planning” to start planning your next trip today! To Pin, click the picture! Hello, just loved your blog and really excited for our trip to Hawaii for the first time. travelling with 1.5year old baby for 9days. Could you please help us plan our trip with must see places in all the 4 islands. 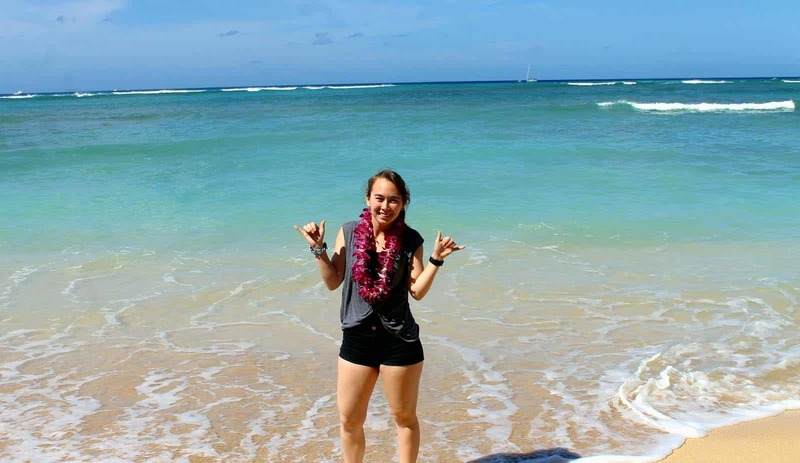 Based on Kiyoko’a blog First Time In Hawaii: A Perfect One Week Hawaii Itinerary – did she stay in the same hotel the entire week or moved around? I stayed in a total of three different hotels. While I was on the island of Oahu, I stayed in a hotel on Waikiki Beach. 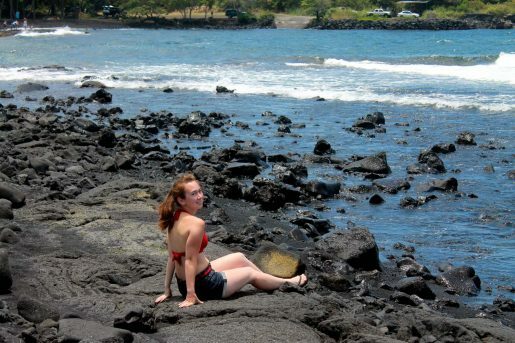 I stayed one night in a hotel in Kauai, and then the rest of the time was spent in a hotel in Kona on the Big Island. Let me know if you would like further details! Thank you. Were the hotels any good? If so can you share the names? Also on which of the days did you need to rent a car? Do you think it would have worked just as well to have make Kaui and day trip? Perhaps arrive on the the island pretty early and then take an evening flight to the Big Island? I was thinking, that would eliminate the need to stay in 3 different hotels. I’m considering doing this, so I wondered what you thought. Thanks.